AutoDurban Poison is the automatic version of our legendary original Durban Poison photo period variety. This Sativa dominant AutoFem can be harvested 10-11 weeks after germination and she will grow fast and tall, with plenty of side growth, just like the original. 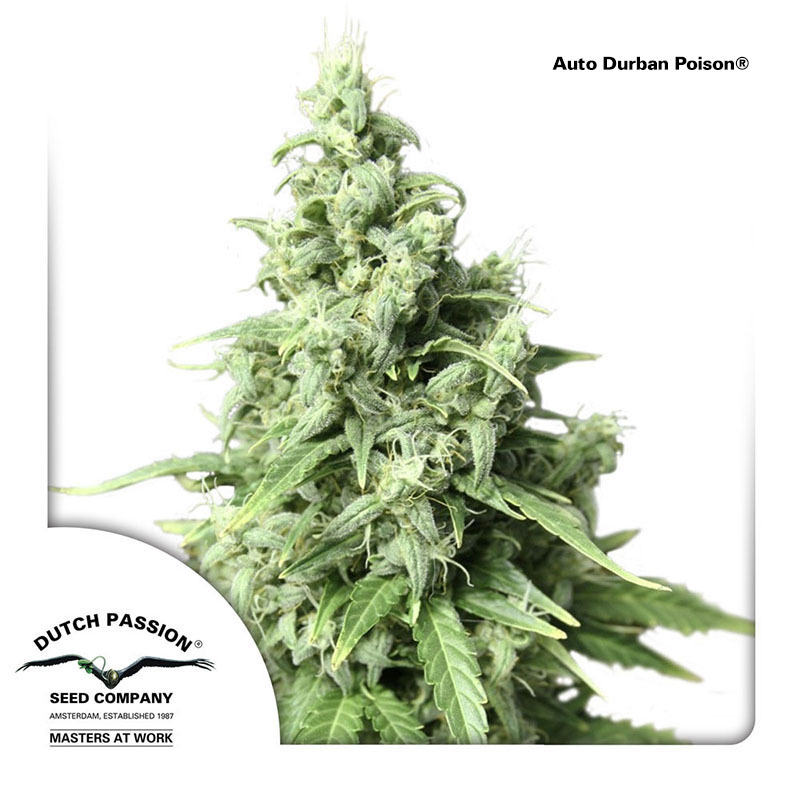 AutoDurban Poison also shares the same luxuriously pleasant and uplifting experience as the original. This is a top quality feminized automatic which delivers a connoisseur quality vape/smoking experience with good yields. AutoDurban Poison tends to take longer during vegetative growth than other autofems, which can allow her to grow a little taller. The buds grow large and resinous with that special, celebrated, Durban aroma. This variety will perform well Outdoors too, she is a high-performance new automatic using some of our best genetics. Ideal for anyone seeking a top quality auto which delivers a strong and refreshing feel-good experience. Winner of several harvest festivals, and “High Times” Cannabis Cup. Skunk#1 (75% Sativa, 25% Indica)..
For the creation of Dutch Cheese ( 60% Sativa, 40% Indica) our breeders took the best cheese genetic..
Lost Coast OG is a mostly Indica dominant strain of cannabis seeds that comes from the Emerald Trian..
A selected strain on speed and resinous buds out of all the automatic strains on the market today.Lo..
Nirvana Urban Poison is a new indoor-suitable version of our famous South African marijuana strain D..
Our Critical Yumbolt is the result of crossing the famous clone named Critical Mass with one the wor..
California Hash Plant cannabis seeds by Dinafem Seeds belong to a feminized Indica-dominant cannabis..
Fruit Autoflowering cannabis seeds by Dinafem Seeds belong to a feminized Indica-dominant cannabis s..
OG Kush Auto cannabis seeds by Dinafem Seeds belong to a feminized autoflowering Sativa/Indica/Ruder..